Food Writing Course with Lulu Grimes. 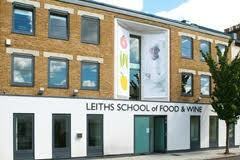 This Autumn I was lucky enough to complete the food writing course at Leiths School of Food and Wine in London. Leiths has an international reputation as a first class culinary institute for chefs. Food Writing has become increasingly popular, and with the growth in blogging the chance to write about something you love is open to all. Over the eight weeks of the course Lulu Grimes Deputy Editor of Olive magazine and author of numerous cookbooks, and her special guest lecturers covered everything from recipe writing, features writing, pitching cookbooks to publishers to restaurant reviews, travel writing, food styling and photography, and food blogs. Week One: Recipe Writing Lulu Grimes. Lulu’s top tips for recipe writing included dressing up the title so that your tomato soup or victoria sponge stands out amongst all the others. Study what trends are out there. For example after the Ombre hair trend one food writer changed the title of their chocolate and caramel cake to Ombre cake and their internet hits for that recipe went through the roof. Always include how many people the recipe serves and how long it takes to cook. Remember to work at a normal persons cooking speed, not a professional chefs. Ingredients should be listed in the order that you use them. It is important to be specific. For example if you use an onion say whether it should be a white or red one. Also write if you need a specific piece of equipment i.e specialist cake tin – give dimensions. Always check your oven temperature is correct with a thermometer before writing recipes. You can not copyright ingredients, but you can copyright the method of a recipe. Always credit someone else recipe if you are going to include it on your blog. Try to think up original ways to present your recipes e.g graphic recipes, pictorial recipes. Always caption the photographs that go with your recipes on your blog as it makes it easier for google’s search engine to find these images and in turn your recipes. Week Two, Three and Four: Features Writing, Travel Writing Lulu Grimes. Rule number one of food writing or any other kind of writing come to think of it is to only ever write in your own voice. Trying to sound like A A Gill, or Anthony Bourdain will only result in disaster, It’s your experience and knowledge you’re sharing, not anyone else’s. If you don’t know what you are talking about, don’t try to bluff it. Read as much food writing as possible and keep writing as much as possible. 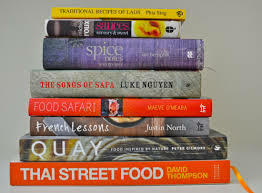 Invest in some good books from the classics – MK Fisher, Elizabeth David, Fergus Henderson, Jane Grigson, Nigel Slater, Anthony Bourdain, even Nigella. Absorb their knowledge, but not their style. Know your audience. Is it online foodies who want to know the province of every single ingredient, or harassed commuters who just want a good read? Survey’s show that readers are typically looking for recipes they are familiar with that have a twist. Young people are not buying magazines The age of magazine readership has increased to 30-40 years upwards. When writing a feature you should think about every word. It should take a long time to write. Read aloud and edit, then edit again. Some of the best food writing starts in the most surprising of ways as it jolts the reader. 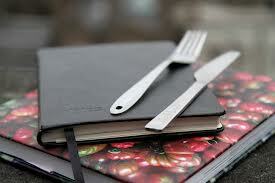 A top it is to have a notebook of words you like about food. It also worth getting hold of The Flavour Thesaurus by Niki Segnit. Week Five: Features Rosie Birkett, Guest Speaker. Rosie Birkett is a food writer, journalist and stylist who’s been writing about chefs, restaurants and food since 2008. She has written for Olive magazine, Conde Nast Traveller, Waitress Kitchen, Grazia, The Guardian and the Independent and co authored J’aime London – a foodies guide to London with the three-Michelin-starred chef Alan Ducasse and much more. Rosie advised on how to pitch features to magazines and newspapers, types of features,and tips for writing features. The key to pitching is knowing the tone and audience of the publication you’re targeting and aiming your pitch accordingly. Never just write down an idea and paste it into an email to all the editors you have email addresses for – tailor it to each specific one and tell them why it’s of interest to their readers. Come up with a catchy headline that sums up your piece, and a strap line to ‘sell’ or explain it a bit more. Remember newspapers work with very short leads, and might want you to turn around a timely feature very quickly (like in a few days), while magazines like Olive and Waitress Kitchen work months in advance – so its worth pitching them ideas to tie in with Easter at Christmas and so on. There are many different types of features. The main ones include – The list feature is usually 5-10 things, linked by a common theme, a few hundred words on each – like the ‘UK’s best butchers,’ or ‘five detox foods.’ These work for websites. weekly magazines and glossies. Expert quote/interview-based – A feature based around an interview with one, or many, often ‘expert’ subjects. Works for glossy mags, newspapers, food sups. Analytical prose with quotes, stats, research and analysis – Usually a news-hooked feature exploring a trend or news angle. For this you will need to do your research, interview sources and draw your own informed analysis and conclusion with examples to back them up. Works for broadsheet papers, food magazines with big features, trade mags, food sups. First person colour piece – Written from the first person perspective in the present tense – describes an experience/trip/hands on activity you have undertaken for the piece. Works for papers, food sups. Rosie top tips for features writing included – know your subject and specialise, use twitter and social media to network, get stories and follow trends. Don’t forget about real life networking and read as much food press as you can. Week Six: Andy Lynes Restaurant Review, Guest Speaker. Andy is a food, drink and travel writer who has written for just about all the broadsheets. Andy spoke about how blogging is a great way to break into food writing. He started writing for free on his own website many years ago. Restaurant reviewing is not just about the food you are eating, it is everything from the minute you walk in until the minute you walk out. You must bear in mind that you are writing about someones business/livelihood but also balance this with your duty to your reader/editor. It is important to do the restaurant justice in an objective way. Style is hugely important. Never sacrifice clarity for clever word play. Don’t be meagre with praise if it is warranted. Always be accurate and truthful in your observations. The best way to avoid clichés in your writing is to be specific i.e flavour, sensation. Try to capture the emotion of the dining experience and pin point the reasons why. This is sure to make your review stand out above others. Avoid a linear structure. Mix up the structure of your dining experience to make it more interesting for the reader. Week Seven: Sarah Cook Food Styling, Guest Speaker. 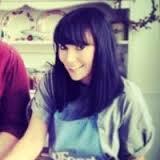 Sarah Cook is a food writer, food stylist, home economist and former food editor @BBC Good Food. Sarah talked us through tips for taking great food photographs for our blogs. It is important to always shoot food in natural light. Treat your food like a person and find it’s best angle. Overhead shots are good if the light is not great. It is important to make sure every ingredient is visible. You may need to do a scoop out on dishes such as lasagna, pies for this to be possible. Helicopter shots are similar to the angle of your eye line. They are useful for food in bowls so you don’t have to unnaturally build too much height in the food, and can see inside the prop. Low angle shots concentrate your efforts on the front of the dish so they are great for layered dishes such as trifles. Remember to cut dark cakes i.e chocolate towards the light source. White things always look bigger on camera so start small with ingredients such as creme fraiche, ice cream. Keep portions small because everything looks bigger on camera. Odd numbers on a plate are usually more attractive i.e curry, rice and salad. Make sure the story is real, don’t include a clean knife in your photo after you’ve cut the cake. Keep food looking moist by spritzing with water or brushing on oil. If your dish is brown or a single colour you can inject visual appeal by adding a sprinkling of herbs, a wedge of lemon or lime, a glass of water with a wedge of lemon or lime next to it or a coloured drink. Add a fork or spoon to a shot to inject movement. Week Eight: Getting a book published Lulu Grimes. Lulu’s top tips for getting a book published were to firstly get as much cooking experience as you can to build your reputation and contacts. Work for free if you have to. Assist food stylists, caterers, teachers etc, or work in an independent book shop. Research cookbooks in the area you are interested in. Try Books for Cooks, Selfridges book store, Waterstones, amazon UK and US site. Write a detailed synopsis for your book. Make hard argument of why your book would sell any why there’s a market, list examples of whats on the market. Give a fairly detailed list of the recipes to really sell it. Try and make a cover using graphics or a digital camera so that it’s visual and colourful. Include a short bio and C.V for yourself – try to make it sound exciting even if it isn’t. Research publishers; get a list of who publishes cookbooks. Go to bookstore and study what each niche they specialise. Decide who fits your subject and style best. Send your proposal to a select few with a personalised letter. If you get a meeting and they decide to take your idea to book fair, offer to do the home economy or prop styling for free (if you are good at it), it will help their budget and perhaps get the book bought. Whatever deal you get the first time, don’t despair! The hardest step is getting the first book. After that you have a bit of negotiating power. I would strongly recommend this course because it gave me the time and space to develop my own writing skills and learn more about the business of food writing itself. The course is not cheap but I feel this reflects the level of expertise of the course tutors on hand for much needed advice and the world class Leiths name that you’ll be able to add to your C.V.
I’ve already put everything I learned on the course into practise on http://www.surreyKitchen.com and have received many positive comments from followers on how much my blog has improved. If you are going to invest time and money into doing this course, my advice is to write as much as possible and get as much out of the course as you can. Tutors will be happy to read your work and provide you with feedback if you are brave enough to take the opportunity. You are very welcome. Emma. What a great course and thank you for sharing some of it. Really important things to know all of it. I am glad you enjoyed the post and could make use of some of the tips. Take care. Emma. Oh wow! What an amazing course and what a fantastic post! Seems think an incredible experience…. I’d love to do a course like that! The course was really useful. I am glad you enjoyed the write up. Take care. Emma. Thank you so much for the reblog Charlotte. Emma. I would highly recommend the course. I am glad you can make use of some of the tips. Take care. Emma. It sounds like a great course. Thanks for sharing the tips! The course was great. I am glad the tips are of some use to you. Take care. Emma.